Drug-related court cases can be very complex affairs. Sentence lengths vary greatly and are often based on the severity of the charges, from possession of a mild drug such as marijuana for personal use to possession of a large quantity of opiates or other hard drugs, which often indicates intent to distribute. Drug-related cases are also tricky in that they almost always involve constitutional issues, including the legality of the search and seizure of the drugs and other evidence. Your criminal defense attorney must therefore be attentive to these issues and flag any inappropriate procedure, which in some cases results in a motion to suppress evidence or can even lead to the case being dismissed. Barring this, however, there is another alternative to jail time if you are going to trial in California known as a ‘diversion’ result. For defendants charged with drug trafficking, or for repeat offenders facing drug charges, diversion is unfortunately usually not an option. But for those who have been arrested for the first time for possession of a small amount of drugs for personal use, there might be a happy ending. Basically, a diversion result can be granted by the judge if the defendant pleads guilty and agrees to go to treatment and receive counseling to overcome their drug addiction. The diversion result is usually granted in cases where the judge deems the defendant is non-violent, repentant, and seriously willing to go to treatment and stop using drugs. The criminal proceedings will be halted for the length of the treatment period and, if the defendant is successful in overcoming his or her addiction to the satisfaction of the court, the case will be dismissed and there will be no mention of the drug charges on that person’s criminal record. A diversion result is the best possible outcome for drug users, as it allows them to get clean and start afresh without a record. But obtaining this result can be difficult, and once it is granted, is only the beginning of a long and arduous journey for the accused. A treatment center is better than prison, but addicts may see things differently. A good and experienced criminal defense attorney knows how difficult it can be to overcome addiction of any form. This is why it is important that your attorney support you not only through the trial, but also through detox and all the challenges that it brings. 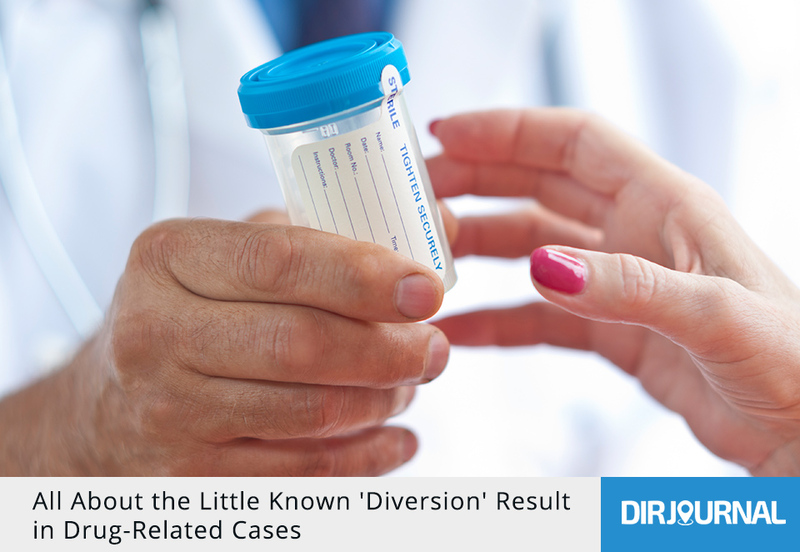 Defendants who are granted a diversion result must successfully go through treatment and stay off drugs. Remember that the court proceedings are only put on hold. Defendants who are unsuccessful at either getting clean or staying clean will go right back to trial and receive a different sentence—usually some jail time and a fine. This means that your criminal defense attorney must be willing to be available to you for the long-term, because treatment services and procedures can be difficult to navigate, and even more so for someone who is coping with withdrawal. Soon-to-be ex-addicts have enough on their plate without having to deal with bureaucracy and legal matters. Your defense attorney should help you enroll in the program, make sure that you are not dismissed unfairly, and offer his or her support in any way possible. So there you have it. Granted, a diversion result is not available for just everyone facing drug charges in California, but for those who qualify, it is definitely an avenue to explore.